Prepare for a flood of baseball fans and players from across the country: Amid a week of fun and festivities, D.C. hosts the city’s first All-Star League Game of the Washington Nationals era. 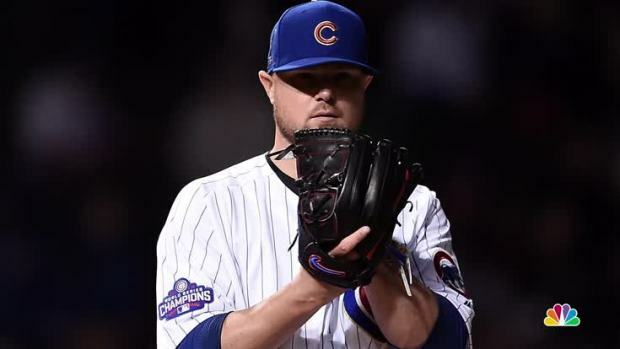 The All-Star Classic allows fans and teams to build two competitive rosters, representing the best players the National League and American League each have to offer. 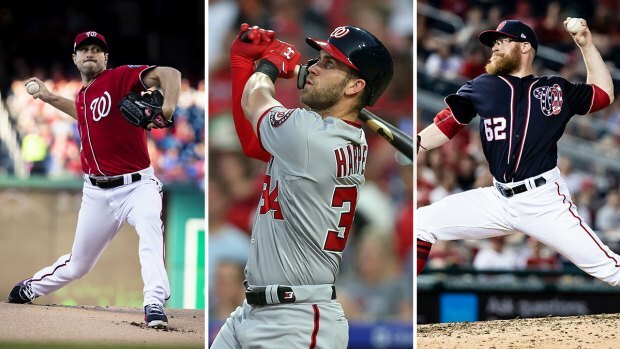 Outfielder Bryce Harper and pitchers Max Scherzer and Sean Doolittle will be representing the The Nationals. After the best of the best are done being selected, the National League and American League teams face off on Tuesday, July 17. The National League — The Nationals' home — are about due for their first All-Star victory since 2012. D.C. last hosted an All-Star Game in 1969, during the Washington Senators' run as the home team in the nation's capital. Five days of festivities come around the game, including FanFest, a color run and the Home Run Derby. Sunday, July 15 at 4 p.m. In a back-to-back series, you can watch Minor League players strut their stuff. Then, some famous faces will take the field. In 2017, baseball Hall-of-Famers like Jason Taylor and Ivan "Pudge" Rodriguez played alongside Olympians and celebrities including actor Michael Cudlitz, musician Jencarlos Canela and actor Jamie Foxx. Tickets are still available online and start at $60. Monday, July 16 at 8 p.m.
Tickets are already sold out for the race to hit the most home runs. Metro will offer extended hours; see below. Tuesday, July 17 at 8 p.m. The best players, chosen by fans and insiders, from both the National League and American league will face off. The game will be played at Nationals Park. It will also be televised. Fans snatched up tickets early for both the All-Star Game and Home Run Derby. You can still find them on sites like StubHub, but they cost upwards of $180. The MLB has a relationship with StubHub, so fans can be confident that tickets they buy from the resale site are legitimate, an MLB spokesperson said. If you're itching to catch some baseball but can't swing tickets to the All-Star game, tickets were still available at press time for Sunday’s two match-ups. A new law allows the mayor to enforce that vendors, including ticket vendors, have a Stadium Special Events Permit to sell anything in the area of the park. This law can be enforced for seven days around the time of the All-Star Game. Metro promises to get attendees home after the game. WMATA said that the last trains will leave toward Greenbelt at 12:22 a.m. and toward Branch Avenue at 12:48 a.m. or 30 minutes after the game ends — whichever is later. You’ll be allowed to enter Metro through the Navy Yard station. Other stations are only open to exit. You can also pick up a special, commemorative Metro card at the Navy Yard station. The same extended Metro hours apply to Monday’s T-Mobile Home Run Derby game. The Blue Line of the Circulator Bus' drops off near Nationals Park. You can catch it near Eastern Market, L'Enfant Plaza and Waterfront Metro stops. The fare is $1. If you’re coming from Old Town Alexandria or National Harbor, you could catch the Baseball Boat water taxi. Round-trip tickets start at $35 each for adults. Drivers willing to brave the traffic can park in one of the Nationals’ parking lots. Find more information here. Dozens of players are slated to snap selfies, shake hands and greet fans during All-Star FanFest. The Nationals’ own Ryan Zimmerman will be there, alongside other Nats players and alum including Davey Johnson, Dmitri Young and Jose Vidro. Here’s the schedule. For a limited time, you can enter code FFMM to get $10 tickets. Regularly priced tickets cost $35, but there are several deals on different days. Bring your young baseball fan for a day of interactive activities in partnership with MLB, USA Baseball and the Boys and Girls Club of America. Organizers say there will be a youth-sized baseball diamond, food trucks, pitching inflatables, batting tunnels and scheduled programming each day. It’s free to attend, and kids are promised freebies! Zip around a 5-mile loop that takes you on both sides of the Anacostia River among blasts of dye that turn the crowd technicolor. Some bars could begin serving at 7 a.m. and hold off last call until almost 4 a.m. under a new law passed specifically for the All-Star Game (and World Cup). Bars must specially register for permission; a full list is set to be announced in the future. Enjoy heavy hors d’oeuvres, a cash bar and networking opportunities at Crimson Whisky Bar. Tickets are $45 and come with one drink. BBQ Bus Smokehouse and headed to Lost & Found to fuel an All-Star party with plenty of drinks and live music. Enjoy the view above Nationals Park while munching burgers and other grill favorites from Bluejacket. Early bird entry tickets start at $25 and increase to $35 after July 9. Some bars could begin serving at 7 a.m. and hold off last call until 4 a.m. under a new law passed specially for the All-Star Game (and World Cup). Bars must specially register for permission; a full list is set to be announced in the future.